About Steve has previously served on the Board of Directors of the Arts & Cultural Council of Bucks County and as first president. He is currently the Director of Communications of the Lewis Center for the Arts at Princeton University. 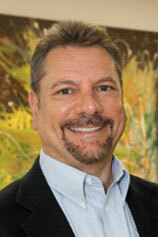 He most recently served for three years as the executive director of the New Jersey State Council on the Arts, an agency of State government that works to improve the quality of life in the state by helping the arts to flourish through an active roster of grant programs, services and communications. Previous to his tenure as director of the State Arts Council, Runk served in a variety of positions on the Council staff since 1991.